Imagine being a 14 year old girl who was visiting the to collect some firewood and bones in order to buy bread. 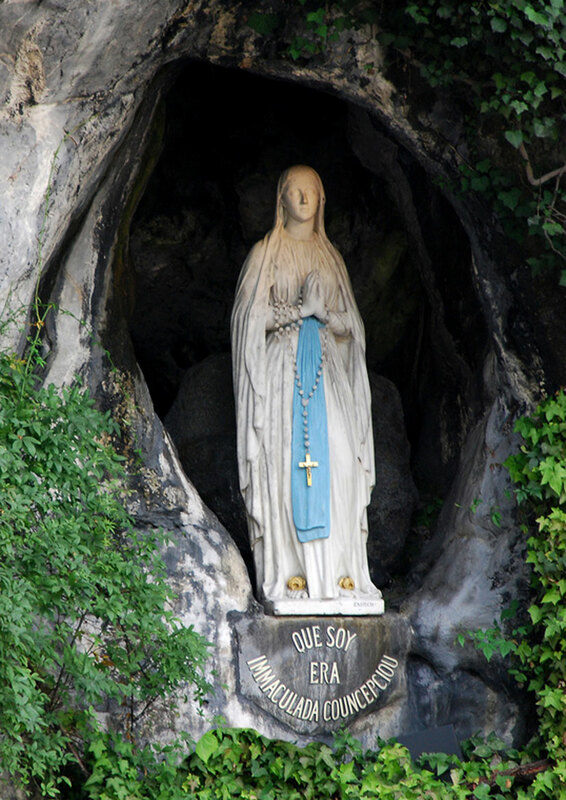 This little girl, Bernadette Soubirous, along with her sister and a friend had decided to take off their shoes and wade in the water at the grotto. There, an amazing thing happened. She heard the sound of two gusts of wind (coups de vent) but the trees and bushes nearby did not move. However, a wild rose in a natural niche in the grotto did move. Soubirous claimed she saw "uo petite damizelo" (a petite damsel) in white with a golden rosary and blue belt fastened around her waist and two golden roses at her feet. This occurred in the year 1858 and is now known as the first of many apparitions of Our Lady of Lourdes in Lourdes, France. Bernadette would encounter the Blessed Mother several times after this, but it was not until 1860 that the Church recognized and embraced these visits as true apparitions. This place is now visited by tens of thousands of people each year. While not an official dogma of the Catholic Church, several popes have made the same pilgrimage that others make to pray the rosary and venerate the Marian Spirituality at this holy place. Within the walls of the grotto, water streams from an unknown source which science cannot explain. This water has become a source of healing and blessings for those who bathe in it or carry it home for their own special uses. Like Bernadette Soubirous, Catherine Laboure, a young Daughter of Charity, had a similar experience in Paris. This occurred several years before Bernadette's visit, but the message was very similar as Mary spoke of herself as the Immaculate Conception. During the apparitions to Catherine Laboure, the Blessed Mother asked her to have a medal struck which would be called the Miraculous Medal. Special devotion to this medal and its special blessings for those who wear it continue even now. 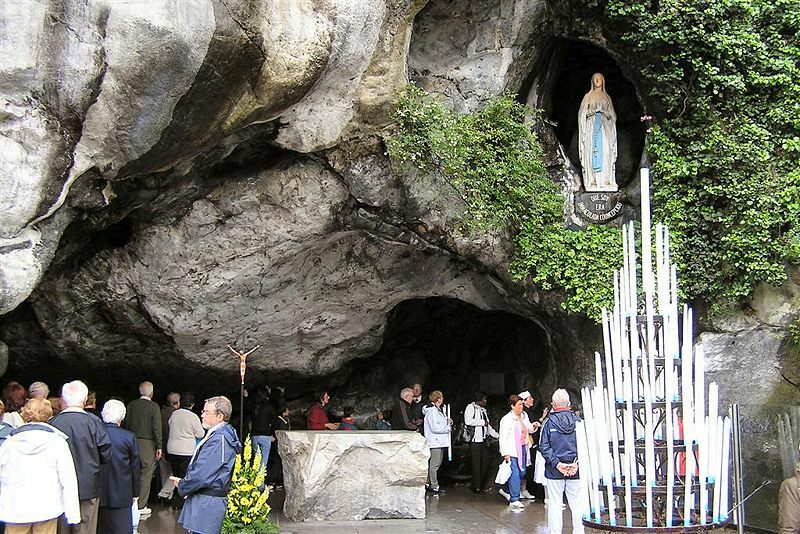 Tens of thousand of pilgrims make their way to the Daughters of Charity Motherhouse, the site of Catherine Laboure's apparitions, each year, just as they do the grotto in Lourdes, seeking Mary's protection and graces. "O Mary conceived without sin, pray for us who have recourse to you." Written by Sister Catherine Kelly, D.C.